Big day today! 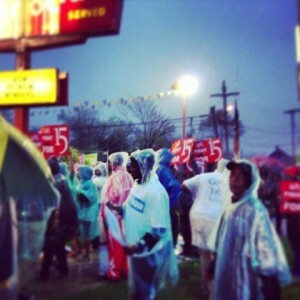 Organizers are expecting the strike of fast food workers in Detroit to be the biggest in the country. 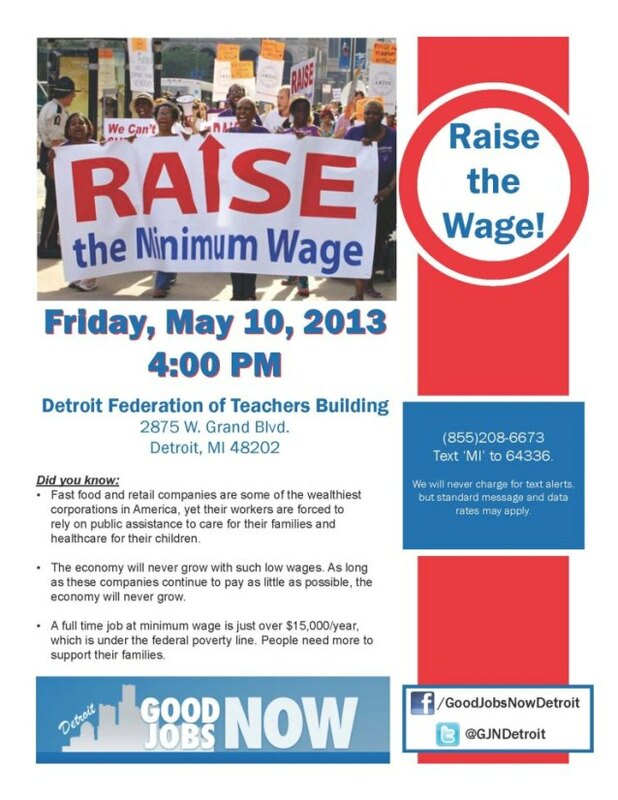 Be out in New Center at 4pm tomorrow to fight for a living wage and the right to unionize! Detroit — Workers at a fast food restaurant on Detroit’s east side have walked off the job as part of an effort to push for higher wages. 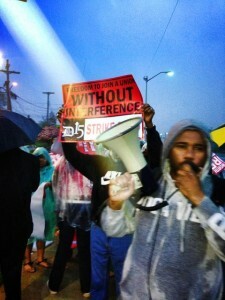 Detroit pastor Charles Williams II says workers want $15 and hour, better working conditions and the right to unionize. The one-day protest starting Friday morning at a McDonald’s on the 10000 block of Gratiot is one of about 50 that organizers say they’ve planned around Detroit. The D15 campaign says many workers make $7.40 an hour or just above it. A message seeking comment from a representative of the restaurant was left Friday morning by The Associated Press. 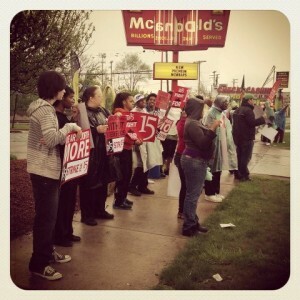 Workers at more than 30 fast food restaurants in St. Louis walked off the job Thursday in a similar one-day strike. 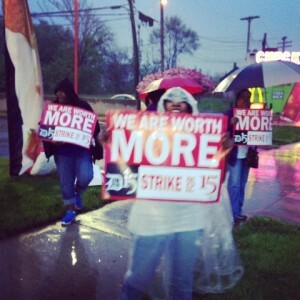 That followed strikes at fast food chains in New York and Chicago.